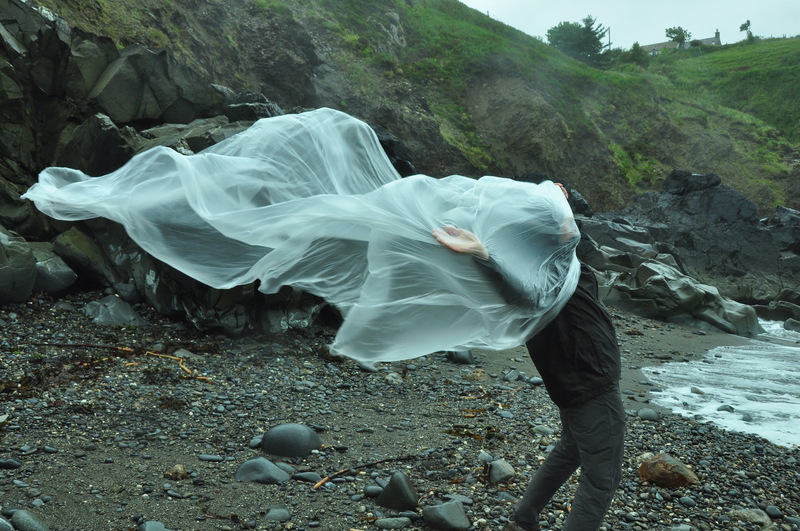 Encounters Series comprises an ongoing and annual site-sensitive ,research-led, land based workshops based around specific areas of the National Parks coastline of Pembrokeshire, Wales. The research takes the form of open-ended laboratory and workshop formats, open to a wide range of participants and is conducted in collaboration with Nick Parkin. Parkin and Rotie bring together their respecitve specialist backgrounds to ask a series of reserach questions, emanating from the encounter with the very special qualities of Land and environment found in Pembrokeshire. ''We explore how to physically open, sensitize and relate to the land, how to create material from a creative engagement and connection with nature and the site-sensitive, and look at the potentials for physical and creative responses given by each natural element. ''This workshop allows time to cultivate a fluid interface, and a widening field of perception, connecting our transformational body with the environment. Drawing upon over 30 years experience of Butoh, combined with expertise in voice, bodywork and soft martial arts, we search for the body of becoming.